On Saturday, August 18, 2018, Bonita Valley Community Church was the venue of the 2018 Presidential Champion Award ceremony, hosted by Grand Master Byron Mantack and his Martial Arts Academy. 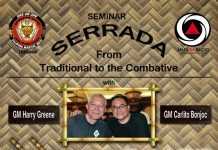 The ceremony was well attended, with over a hundred prominent martial artists, family and friends attending. 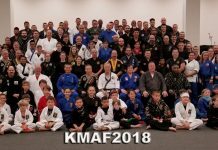 The event was an outstanding success and all who attended were thanked for showing respect to those who were being honored, and for their continued support for the martial arts. The opening prayer was done by Pastor Bob Mitchel, and the national anthem was sung by the reigning Miss Bonita, Samantha Fakhimi and Miss Chula Vista, Rebecca Ibarra. 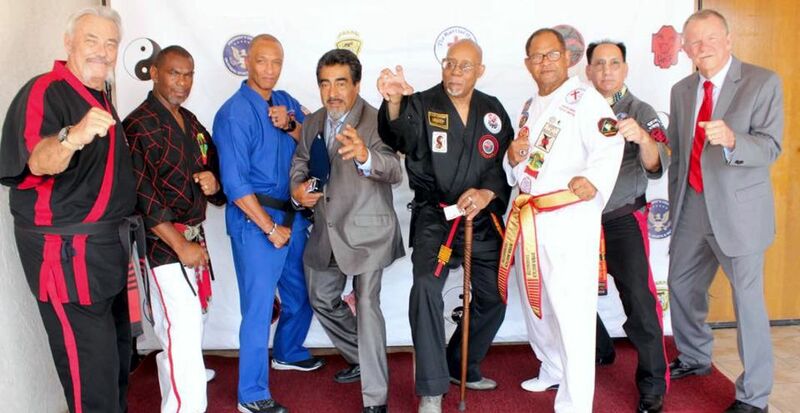 The 2018 Presidential Champion Award honorees included Grand Master Benny Urquidez, Sifu Alan Goldberg, Pastor Kathy Long, Grand Master Bob Mitchell, Grand Master Chuck Norris, Sabom Cung Le, Soke Donald Miskel, Grand Master Gustavo Martinez, Master Joseph Walker, Master Linda Denley, Doctor Marc Stoner, Doctor Robert Goldman, Grand Master Pablo Rodarte, Grand Master Al Garza, Sifu Art Camacho, Grand Master Dan Tosh, Sifu Michael Matsuda, Grand Master Mike Stone, Shidoshi Stephen Hayes, Grand Master Brian Adams, and Grand Master Robert Temple. Although not all honorees attended the ceremony, those who did were also presented with a certificate of congressional recognition and acknowledgment from the Congress of the United States, on the authority of California Congresswoman, the honorable Susan Davis. Hanshi Frank Dux and Master Cynthia Prouder received their award that had been previously authorized and Hanshi Dux received a special “Eagle” award from the Martial Arts Academy. Grand Master Robbie Lee presented several individuals, including Grand Master Byron Mantack, with a Lifetime Achievement Award from Governor Jerry Brown of California. Sifu Eric Lee (The King of Kata) made a special presentation of one of his beautiful Dragon jackets to GM Mantack as well. 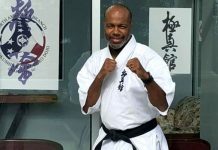 Grand Master Byron Mantack was also inducted into the Black Dragon Fighting Society by the board of directors and officers of the Black Dragon Fighting Society. Prior to his death, Doctor Day had approved GM Mantack’s admittance; however, when Doctor Day passed that application was placed on hold. 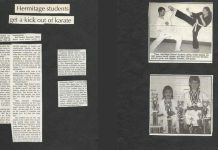 Since then, Hanshi Frank Dux nominated GM Mantack for membership; and, he was approved by the board of directors and Soke Donald Miskel the current head of the Black Dragon Fighting Society. GM Mantack has sworn to maintain his membership in this fraternal order with dignity, and obey all rules and regulations of the society. The presenters included Monica Montgomery, San Diego City Council member; Mr. Zach Bunshaft, representing the office of Congresswoman Susan Davis; Mr. John McCann, Chula Vista City Council member; Soke Great Grand Master Frederick (Big Cat) Peterson; Mr. Duane Woodley, representing the District Attorney for the County of San Diego, and Grand Master Byron Mantack. Congratulations to all the Presidential Champion Award honorees who represent some of the highest degree of character and integrity in the martial arts. 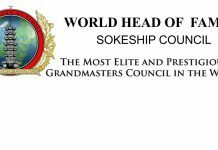 The 2017 Presidential Champion Award honorees included Great Grand Master Ralph Castro, Grand Master Hari Banaag, Grand Master David Chaanine, Grand Master Bill “Super foot” Wallace, Grand Master Harry Mok, Grand Master Diann Johnson, Grand Master John Olivier, Grand Master Moses Williams, Professor Ken Drayton, Professor Pete Salas, Grand Master Kevin Hufford, Sifu Malia Bernal, Sifu Alvin Mack Jr., Master Conan Lee, Master Andrew Fanelli, Master Barry Barker, Soke Irvin Soto, Grand Master Eugene Sedeno, Grand Master Ted Sotello, Grand Master Bob White, Kyo-sa-nim Eric Maggio, Grand Master Charles Dixon and Master Cynthia Prouder. The 2016 Presidential Champion Award honorees included Cynthia Rothrock, James Brassard, Stephen Hong, Les Kiersnowski, John Casterline, Frederick Peterson, Donnie Williams, Jim Thomas, Barry Broughton, Dana Stamos. Photo at top of page (left to right) Bob Mitchell, Robbie Temple, Joey Walker, Gustavo Martinez, Donald Miskell, Byron Mantack, Robert Lee, Bob White.